BB Erzurumspor and Akhisar Belediyespor face at Kazım Karabekir Stadyumu, in a match for the 28th round of the Süper Lig. In the last head‑to‑head for this edition of the league, played on 03‑11‑2018, these teams have tied (1‑1). In this match the home advantage may play an important role, as both teams present significant differences between home and away performances. After 4 wins, 10 draws and 13 losses, the home team is in the 18th position, havinf won 22 points so far. In the last match, they have lost in an away match against Kasımpaşa by (2‑1), after in the previous match they have lost (0‑1) at home, against Trabzonspor. This is a team that usually makes good use of the home advantage, stronger with the help of its supporters, since in the last 30 matches they register 1 win, 8 draws and 6 losses in away matches, with 15 goals scored and 20 conceded; against 6 wins, 4 draws and 5 losses at their stadium, with 18 goals scored and 16 conceded. In the last 10 home league matches BB Erzurumspor has a record of 3 wins, 3 draws and 4 losses, so they have won 12 points out of 30 possible. There are a few recurrent results in their home league matches at half‑time: 0‑0 (5 out of 14 matches) and 1‑0 (5 out of 14 matches). Defensive consistency hasn’t been their best feature, as they have conceded at least one goal in each of the last 10 matches, but their offense has scored consistently, as they have scored goals in 8 of the last 10 matches for this competition. There is a tendency for goals in their home matches, since 6 of the last 14 for this competition have ended ended with Under 1,5 goals. In 27 matches for this competition, they have conceded the first goal 14 times and have never been able to turn the score around. there is 1 period that stands out in the last 14 home matches for this competition: they have suffered 9 of their 19 goals between minutes (76'‑90'). 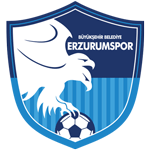 Erzurumspor come to this game with a 2-1 defeat at Kasimpasa, registering the fifth consecutive match without a win in the Turkish championship: Eduok scored the team's only goal. It should be noted that the hosts have only won 1 of their last 10 games. Coach Hamza Hamzaoglu is expected to line up his team in the usual 4-2-3-1, with highlight for Taylan Antalyali in the midfield. There are no major absences for this game. Confirmed Lineup: I. Šehić, P. Kanstrup, L. Schwechlen, H. Arslan, T. Ünlü, M. Koné, T. Antalyalı, G. Obertan, S. Eduok, G. Sunu, K. Opseth. The away team is currently in the 17th position of the league, with 24 points won, after 6 wins, 6 draws and 15 losses. In the penultimate match, they lost in a home match against Kasımpaşa, by (2‑3). In the last match, they won in an away match against Göztepe, by (0‑1). This is a team that usually gets better results in away matches than at home, since in the last 30 matches they register 6 wins, 1 draw and 8 losses in away matches, with 17 goals scored and 27 conceded; against 4 wins, 5 draws and 6 losses at their stadium, with 20 goals scored and 23 conceded. 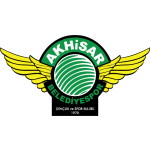 In the last 10 away league matches Akhisar Belediyespor has a record of 2 wins, 1 draw and 7 losses, so they have won 7 points out of 30 possible. In their away league matches the most frequent result at half‑time was the 0‑0 (6 out of 13 matches). Defensive consistency hasn’t been their best feature, as they have conceded goals in 8 of the last 10 matches for this competition. In 27 matches for this competition, they have conceded the first goal 17 times and have only turned the score around in 1. In the last 13 away matches for this competition there is 1 period that stands out: they have scored 5 of their 10 goals between minutes (76'‑90'). Akhisar come to this game motivated after having conquered another victory in the Turkish championship, this time over Goztepe 0-1. We remember that the visitors have not won for two consecutive games in this competition. The visitors should play in 4-3-3, privileging the maintenance of ball possession and the attacks organized by the central aisle. Who deserves attention in the team is winger Elvis Manu, with 5 goals and 3 assists. For this game the coach can not count on Sissoko, suspended, besides Yumlu and Kork, both injured. Confirmed Lineup: M. Lukač, K. Keleş, Z. Yavru, C. Osmanpaşa, E. Cocalić, Serginho, R. Rotman, G. Vural, A. Çeviker, J. Bokila, E. Manu. The most likely scenario for this game will be Akhisar not to lose. Despite playing away from home, Akhisar have better weapons compared to the opponent of the match, so expect to score at least one point in this match. On the other hand, Erzurumspor play with the support of their fans, but still exhibit many flaws in their game model. In this way, betting in favor of the visitors to score on this round is a good option.